UNITED NATIONS, August 14 -- Two days after UN Headquarters acknowledged that the web site of Ban Ki-moon's speeches had been hacked, the UN Environment Program confirmed that it, too, had been targeted, and had to "deactivate" a portion of its site. "You are not authorized to view this page. The Web server you are attempting to reach has a list of IP addresses that are not allowed to access the Web site, and the IP address of your browsing computer is on this list." "a new initiative I recently introduced, whereby UNEP presents a new 'expert' each day on the UNEP website front page to answer questions on the environment and UNEP's work. This facility not only provides answers in real time, but also enables us to monitor the types of questions that interest our interlocutors so we can provide a better service in the definition and implementation of our program strategy." Inner City Press asked UNEP about its activities with another alleged illegal logger, PT Riau Andalan Pulp and Paper (Riaupulp). The Jakarta Post of August 7 quoted Indonesia Greenomics that Riaupulp's "supply of logs as raw material to its mills has drastically increased to 9 million tons in 2006 from four million tons in 2005, but it has never been transparent about from where its mills (received) its logs." The same article mentioned, in Riaupulp's defense, that it had formed "partnerships" with UNEP. So Inner City Press sent UNEP the article and asked, what partnerships? [Q] - Please describe any and all "partnership" or relations UNEP has with PT Riau Andalan Pulp and Paper (Riaupulp). [A] Since 2006, UNEP has partnered with Asia Pacific Resources International Holdings Limited (APRIL), which is the parent company to PT Riau Andalan Pulp & Paper in the context of our Champions of the Earth environmental award and, since 2007, with B4E, the Global Business Summit for the Environment. Information about APRIL, including its involvement with UNEP and the UN Global Compact, and its commitment to corporate social and environmental responsibility is available at http://www.aprilasia.com/index.php. In recent years UNEP, like many other international and non-governmental organizations, has chosen to engage constructively with selected private sector entities who we believe can make an impact in promoting behavior change in the environmental field. 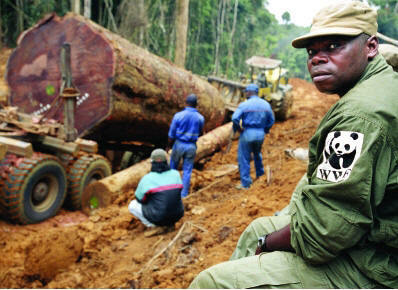 We are aware that many companies operating in the forestry sector are subject to some controversy. However, we consider that APRIL's own initiatives towards transparency and environmental sustainability, combined with the vigorous scrutiny of regional and global media as well as organizations such as WWF, mean that progress is being made towards more sustainable practices in this industry, and that our engagement with this company allows us to engage them constructively. [Q] could you describe UNEP's participation in the UN Communications Group meeting in Madrid on June 21-22, 2007, particularly on Item 6 / "new media." Who attended for UNEP, what position did or will they take on these issues, and what update to the June 21-22 discussion can you provide? [A] I attended the UNCG meeting in Madrid in my capacity as Director of Communications and Public Information at UNEP. On Item 6 (New Media), I participated in the discussion but did not advance a specific 'position' as UNEP does not have one. (NB: Accreditation in Nairobi is done for all UN Agencies operating on the complex through UNIC, which I also head. We essentially follow accreditation procedures decided upon at UN Headquarters in New York). Inner City Press' previous article on the UNCG meeting is here. These are issues we will continue to cover. Watch this site.